The “Commodores,” the United States Navy Band’s jazz ensemble from Washington, D.C., will present a free concert at the Lenape High School Auditorium in Medford on Thursday, Nov. 13 beginning at 7 p.m. The Navy Band Commodores feature 19 top jazz and “big band” musicians offering a mixture of styles ranging from the authentic sounds of the swing era to the contemporary high‑energy music. Dizzy Gillespie, Grover Washington Jr., Louis Bellson, and Pete Christlieb are a few of the guest artists who have appeared with the ensemble. The concert is free, but tickets are required. 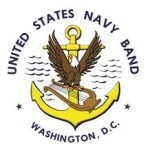 Tickets are available by sending a self‑addressed, stamped envelope to Navy Band Commodores Concert, Township of Medford, 17 North Main Street, Medford, NJ 08055. Tickets may also be reserved by emailing bportocalis@medfordtownship.com or picked up in-person at the Cranberry Hall Senior Center, located behind the Medford Municipal Building at 17 North Main Street. Any unclaimed seats will be available to non‑ticket holders just prior to concert time. For more information, call (609) 654–2608 ext. 338. This special performance by the Navy’s premier jazz ensemble is part of the Navy Band Commodores’ national tour.